Orly Gel FX is no Ordinary Gel Manicure system. Orly's 3-in-1 cleanser, primer, basecoat & cuticle oil are power packed with antioxident vitamine A & Eto Help promote healthy nails and pro-vitamin B5 to Protact the stucture of the Natural Nails.Gel Fx is perfactly matched to our best selling nail laqure shade so your inspiration naever fades. our list of colours keeps growing with seasonal collection and the introduction of exicting new Duo- Chromes, Hyper Brights And glammed out Glitters. Chip-free wear & brilliant shine up to 21 days. Antioxidants Vitamin A & E promote healthy nails. 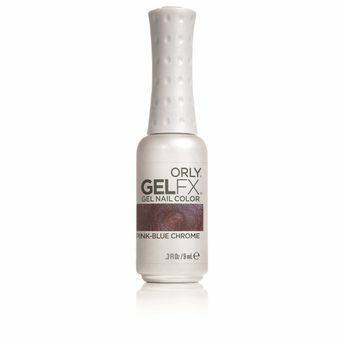 Gel FX is the Gel Nails System Infused With Vitamin C.
Alternatively, you can also find many more products from the Orly Gel FX Nail Polish range.